True financial planning provides the means to unify all aspects of your financial life. 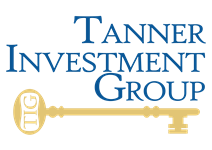 At Tanner Investment Group, we strive to help you better understand the complexities of the financial world. Our comprehensive strategies are designed to help you achieve your goals and provide a reliable income stream through all stages of life. Whatever you may hope to achieve, we will help ensure your plan works in unison so you can stay focused on what matters most. We are dedicated to constructing and managing investment portfolios with the highest level of service. From identifying short and long-term objectives, to assessing resources and your level of risk tolerance, we strive to first gain a deep appreciation for every aspect of your situation before offering our recommendations. While we endeavor to provide the best investment strategies, our clients will always make the final decisions. We draw upon a broad investment universe to deliver the most effective investment plans. While providing clients with direct access to top-tier investments, our asset allocation strategies also integrate growth stock funds, bond investments, international stocks and alternative investments. Whether you’re in the prime of your career, are just a few years away from leaving the workforce, or are already retired, we can help you gain confidence that your long-term goals will be met. Our team will offer detailed projections of when you can safely retire, at what level of income, and what rate of return will be necessary to meet your retirement goals. For those already retired, we will stress-test your plan for longevity risk, helping you ensure that your desired lifestyle will be maintained throughout your future. We have helped clients effortlessly transition from the working world into retirement. By looking at the whole picture of your life, we can develop a tailor-made plan of action that evaluates pensions and Social Security income, 401(k) plans, savings, stock options, deferred compensation, and other assets to structure a reliable income stream throughout your future. At its core, wealth transfer isn’t just about money. In addition to your assets, high net-worth individuals want to pass on their most essential and lasting values to their children, grandchildren, and great-grandchildren. Our focused approach to multi-generational wealth management respects the importance of sustaining your legacy. Have confidence that your most cherished assets will reach the people and places you hold dear. Our strategic plans help ensure your estate plans fulfill your financial goals well beyond your lifetime. As your guardians, we will work with you to help optimize tax efficiencies, coordinate your documentation, provide for charitable entities and more. No matter where you are in life, we will be here to understand and harmonize your financial needs for you and your loved ones.